Replace your old, dried out factory radiator hoses with the COBB Tuning Silicone Radiator Hoses. Constructed of 3-ply reinforced silicone, these hoses will not only look better but also last longer. 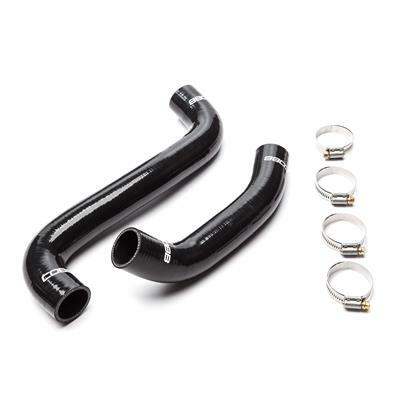 Silicone hoses have a higher operating temperature range, making them a must for any car that may see extended periods of aggressive driving or track time. COBB branding is found at both ends of the hose. Reinforced silicone hoses have a higher temperature operating range, are more resistant to chemical reactions, and maintain their flexibility through a longer lifespan than factory rubber hoses. They happen to look much better, too.